As an all-in-one DVD ripper and video converter, Any DVD Converter Professional performs its excellence in video converting, DVD ripping and video editing beyond your imagination. Easy-to-use interface, fast converting speed, loaded useful features are all integrated. Meanwhile, this program is also an excellent YouTube Downloader which can download YouTube videos from YouTube video-sharing website. 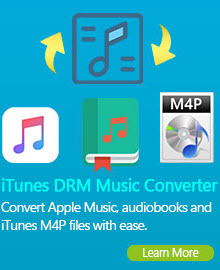 It also support convert downloaded YouTube videos to audio formats such as MP3, Flac, M4A, OGG and etc. Besides download YouTube Videos, Any DVD Converter also can convert YouTube videos to almost all video formats including DivX, XviD, MOV, rm, rmvb, MPEG, VOB, DVD, WMV, AVI to MPEG-1, MPEG-2, MPEG-4, 3GP, FLV, F4V or Flip videos. It also rips DVD to MPEG, AVI, WMV, MPEG, 3GP video, MP4, etc., which's playable on your iPad, ePad, iPod, iPhone, iPhone 4G, iTouch, KIN One & Two, Apple TV, Zune, PSP, Walkman, Archos, Creative Zen, iRiver PMP, Sandisk Sansa and other portable video device. YouTube is a video-sharing website on which users can upload, share, and view videos. As one of the most popular video sharing website, YouTube grants thousands of, perhaps millions of users to upload, share and video videos, and of course registered users are also be allowed to download their favorite videos. Do you want to downloaded YouTube videos from YouTube video-sharing website? With Any DVD Converter Pro, you can enjoy downloading YouTube Videos freely to your local computer with a ease. Now you just need to follow the steps below while using YouTube Downloader and then can have fun with downloading YouTube Video to your hard drive. Step One: Please download and install Any DVD Converter. Then run this YouTube Downloader. Step Two: Go to YouTube or your favorite video site and search for the video your would like to save with YouTube Downloader. Copy the YouTube video download link from YouTube webpage. Step Three: Click on the Download button, and paste the download link to the pop-out box. Then click Add to Download List button. You can continue to paste more YouTube video links as the previous steps. Please note, if you paste the download link and click Start Download button, the YouTube Downloader will download the YouTube videos without converting. Step Four: Find the downloaded YouTube videos. Show the file management panel and click the profile in the left panel, then Right-click the Downloaded file, click Open File Location from the pop-out menu. Any DVD Converter is not only a YouTube Downloader but also a YouTube Converter. It is very easy to download YouTube videos to your hard drive and convert YouTube Video to almost all video formats with the built-in YouTube video downloader and YouTube video converter. Portable media players and mobile phones commonly support AVI or MP4 formats. PSP, iPod and Zune support MP4 format. You can convert downloaded YouTube FLV files to MP4 or AVI format for playback on your PMP or mobile phone. YouTube Downloader support custom AVI profile, which means your can virtually convert FLV to AVI format for any device that supports AVI, simply adjust the video size option. YouTube Downloader is the best FLV to SWF Converter, which provides an easy and completed way to convert FLV file to SWF video. 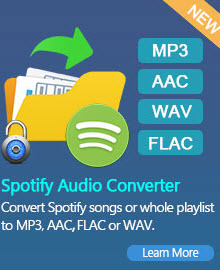 Using this handy swf conversion software, you can convert YouTube(.flv) video to swf and edit flv files before converting. Intuitive interface and all-in-one functions allow you to convert swf to flv easily and perfectly. Embedded with video editing functions allow you to trim videos by setting start time and end time, crop videos by setting the parameter of four sides. Maybe some people prefer enjoy YouTube videos on TV system. So they need to burn YouTube videos to DVD or Blu-ray disc. But how to burn the funning YouTube videos to DVD or blu-ray disc? With YouTube Downloader, you can convert and burn your desired YouTube videos to DVD format for enjoying on your TV system. This YouTube Downloader supports burning video to CD-R, CD-RW, DVD-RAM, DVD+R, DVD+RW, DVD+R Dual Layer, DVD-R, DVD-RW, DVD-R Dual Layer, random access writes, Blu-ray media, Blu-ray Rewritable media.